Etai Funk, M.D. F.A.C.S. is a Double Board Certified facial plastic surgeon by the American Board of Facial Plastic and Reconstructive Surgery and ear, nose and throat (ENT) surgeon by the American Board of Otolaryngology. 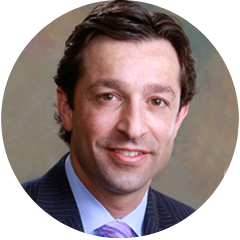 He is the founder of Funk Facial Plastic Surgery located in Houston, TX which serves patients from all over Texas. With experience in both facial plastic surgery and ear, nose and throat surgeries, Dr. Funk specializes in rhinoplasty, septoplasty, facelifts and blepharoplasty for cosmetic, reconstructive and functional purposes. Of the cosmetic and reconstructive facial surgeries, rhinoplasty, blepharoplasty and facelift procedures are of the most commonly performed at Funk Facial Plastic Surgery. Dr. Funk has been named a Top Doctor in Houston, TX multiple times by Real Self, Super Doctors and Houstonia Magazine for Rhinoplasty, Facelift and Blepharoplasty procedures. He's also been recognized as one of Texas' Top Doctors for Cosmetic Surgery by Super Doctors and is one of the most highly-rated facial plastic surgeons in Houston, as well as Texas. Dr. Funk prides himself in delivering natural, aesthetic results to make you appear more youthful, refreshed, and beautiful. Additionally, Dr. Funk focuses on attaining long-term results while minimizing your downtime. Dr. Funk speaks both English and Spanish. Common facial surgical procedures Dr. Funk performs include rhinoplasty, eyelid surgery and face lifts. His goal is for patients to enjoy a natural, unoperated image where the outer appearance reflects a person’s inner spirit and vitality. Dr. Funk offers non-surgical cosmetic procedures and trains dermatologists, plastic surgeons and physicians throughout Houston on facial injections. He has been featured by Houston media for segments on Botox, Dysport, Restylane & Kybella. Dr. Etai Funk is double board certified as a facial plastic surgeon by the American Board of Facial Plastic and Reconstructive Surgery and otolaryngologist by the American Board of Otolaryngology - Head and neck surgery. He strives to be the best in all aspects of facial plastic surgery, providing the most aesthetic, natural, and pleasant result for his patients. His office is located in Houston, and he accepts patients from all over Texas. I would like to take this moment to extend a special thanks to Dr. Funk. He is simply the greatest! For the first time after a long period, I can actually breathe easily without whistling! I really appreciate his friendship and utmost professional approach in solving my breathing problem.